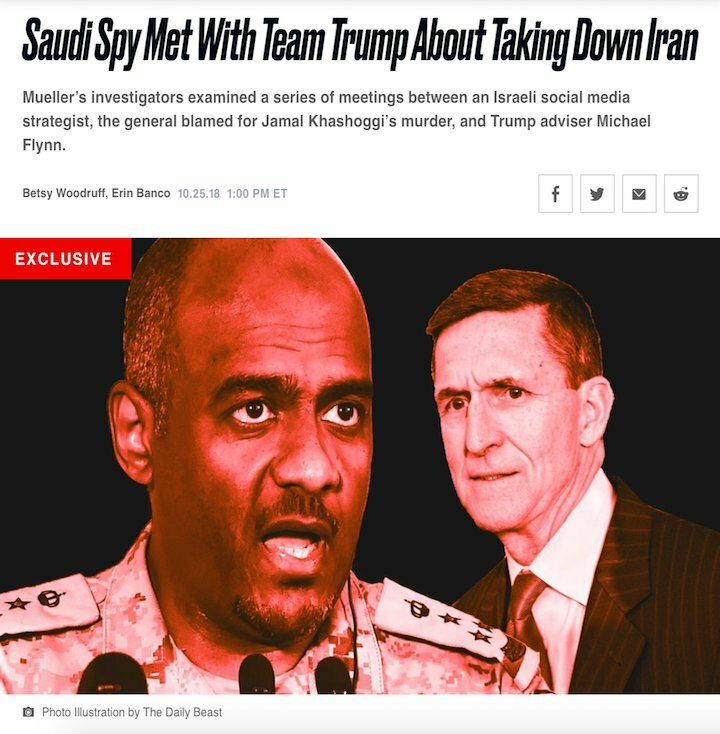 SCOOP: In Jan 2017, Saudi spy chief Al-Assiri [who's taking the fall for Khashoggi's murder] met in NY with Mike Flynn, other Trump officials, George Nader, and Psy Group CEO Joel Zamel, who met with Don Jr in Aug 2016. 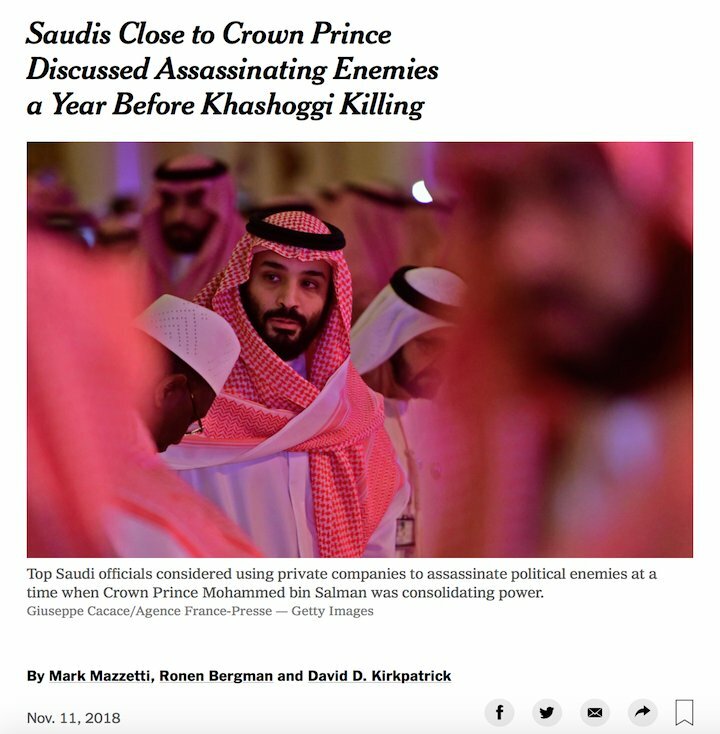 MBS spy chief Al-Assiri's Jan 2017 NY meetings appear to be part of Saudi & Emirati efforts to lobby the incoming Trump admin against Qatar & Iran. 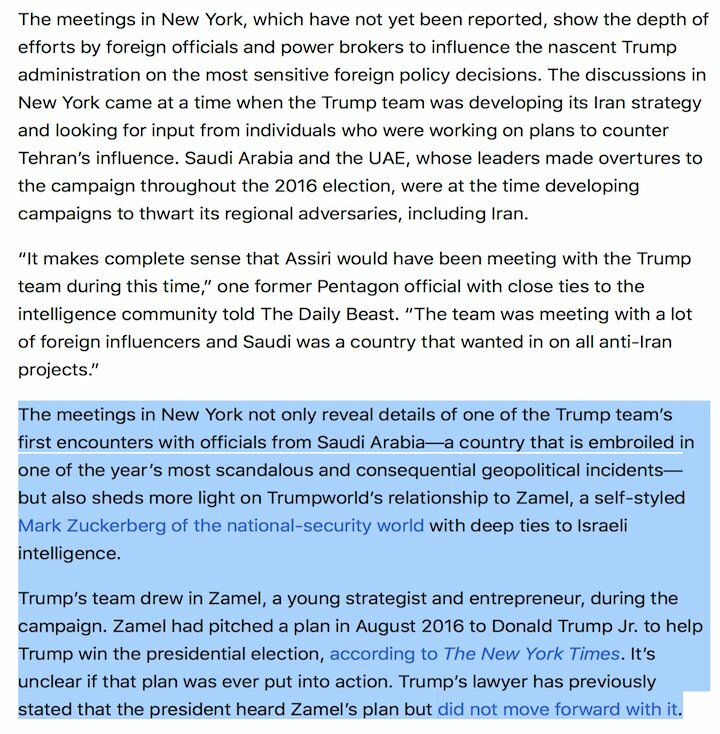 Around the same time, Emirati Crown Prince MBZ also met with Bannon, Flynn, & Jared Kushner in NY. 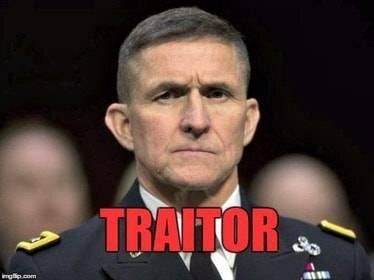 Recall in Dec 15, 2016: In an unusual breach of protocol, Emirati crown prince MBZ made an undisclosed trip to New York [without notifying the Obama admin] and met with Trump transition team members Michael Flynn, Jared Kushner, and Steve Bannon. 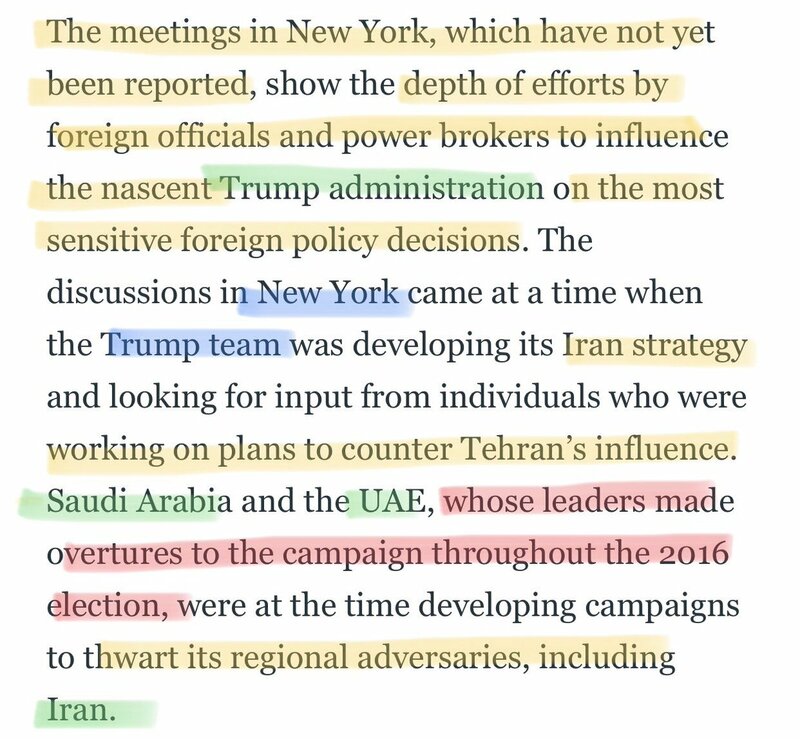 ICYMI: Jared Kushner friend/envoy Rick Gerson met with Nader in NY [weeks before the he attended the Jan 2017 Seychelles summit] when Trump officials, Kushner, Flynn, & Bannon had a secret meeting with MBZ & UAE Amb Otaiba at a Four Seasons in NY. 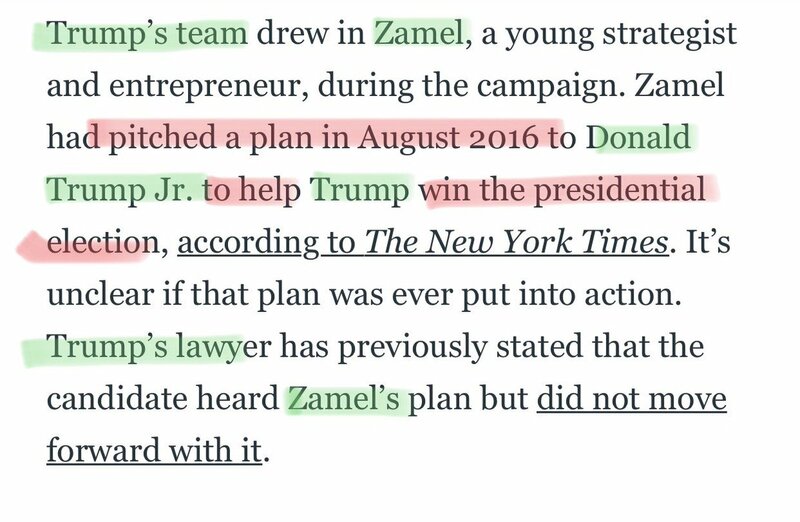 Dec 2016: Joel Zamel's Psy-Group [met with Don Jr in Aug 2016] signed a memorandum of understanding with Cambridge Analytica, whose co-owner Steve Bannon was involved with Zamel's Jan 2017 meeting with Flynn, other Trump aides, & Saudi Spy Chief Al-Assiri. 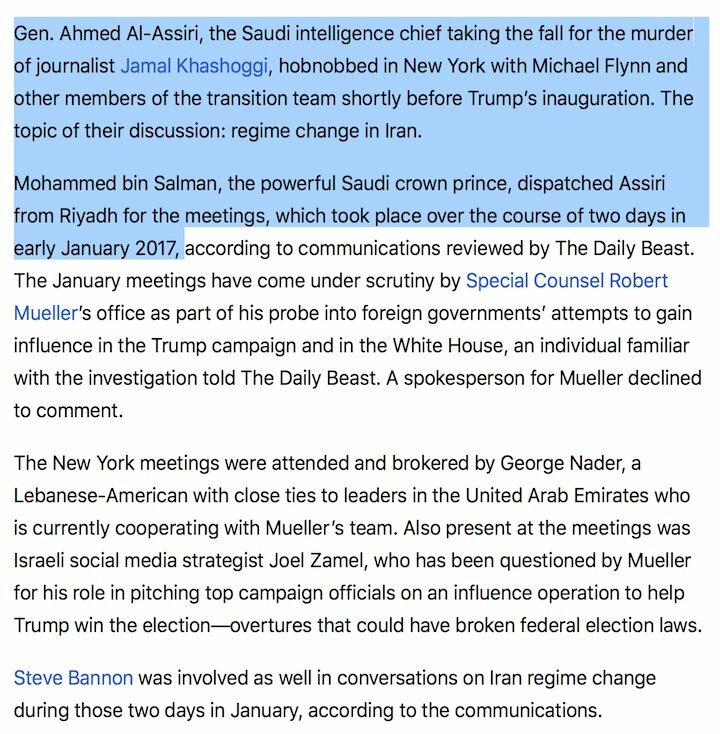 MAR 2017 [2 months after Saudi Crown Prince MBS' spy chief Gen Assiri met w Flynn, other Trump transition officials, Psy Group's Joel Zamel, & George Nader]: Assiri met w businessmen including Zamel & Nader to discuss assassinating enemies of MBS. 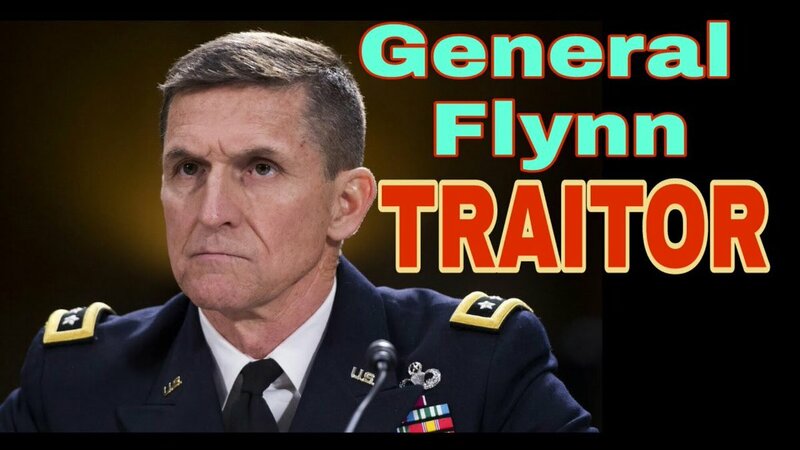 During the MAR 2017 meeting [which included Zamel & Nader, who are cooperating with Mueller], the Saudis asked the businessmen if they also “conducted kinetics” – lethal operations – saying they were interested in killing senior Iranian officials. 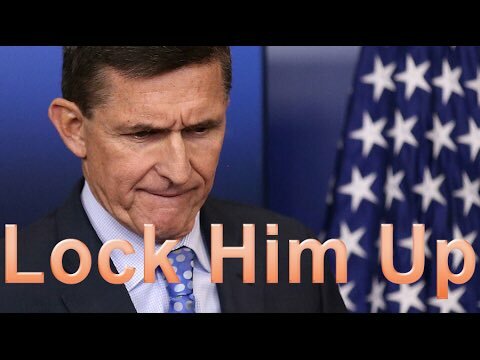 Dec 2016: Zamel's Psy-Group [met with Don Jr in Aug 2016] signed a memo of understanding with Cambridge Analytica [whose co-owner, Steve Bannon, was involved with Zamel's Jan 2017 meeting with Flynn, other Trump aides, & Saudi Spy Chief Al-Assiri]. 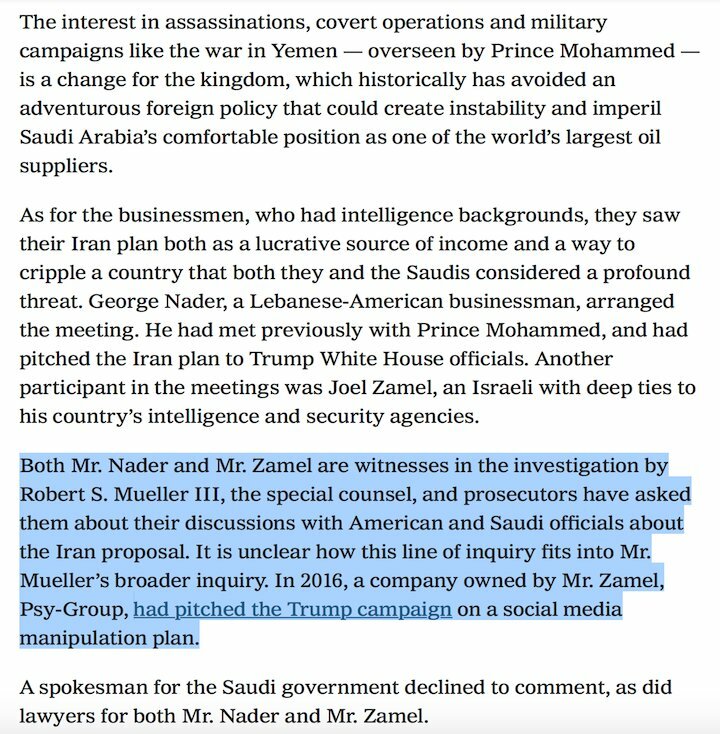 AUG 2016: In a Trump Tower meeting arranged by Erik Prince, Don Jr, Stephen Miller, & other Trump aides met with George Nader [emissary to Crown Princes MBS & MBZ] and Psy Group's Joel Zamel, who pitched Don Jr a plan to get Trump elected. NEW: After my articles showing Russian fingerprints on the ownership structure of Psy Group, CEO Joel Zamel has shifted things around and removed the company with Russian ties that managed Psy Group. 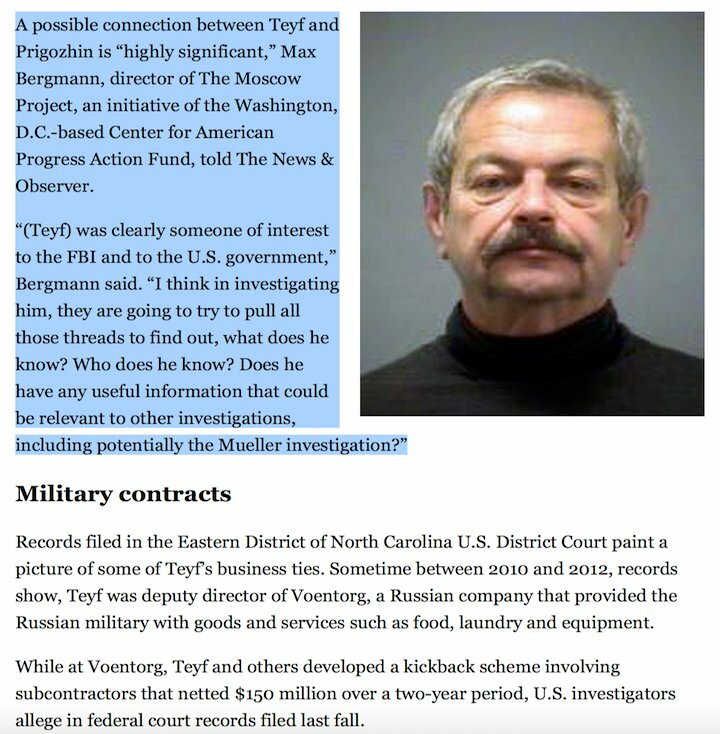 Psy Group, as you'll recall, met with Erik Prince, Trump Jr, and George Nader during the 2016 election to pitch an election interference plan by manipulating social media. 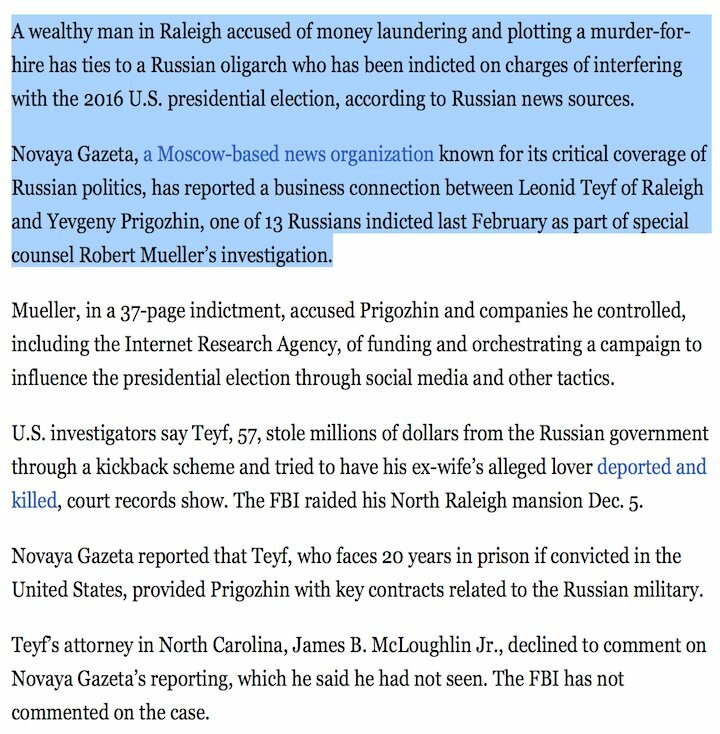 I reported in June that Psy Group (based in Cyprus with the name IOCO Limited) was managed/directed by a company whose principals are affiliates for multiple Russian banks. As of August, IOCO is managed by Zamel himself. 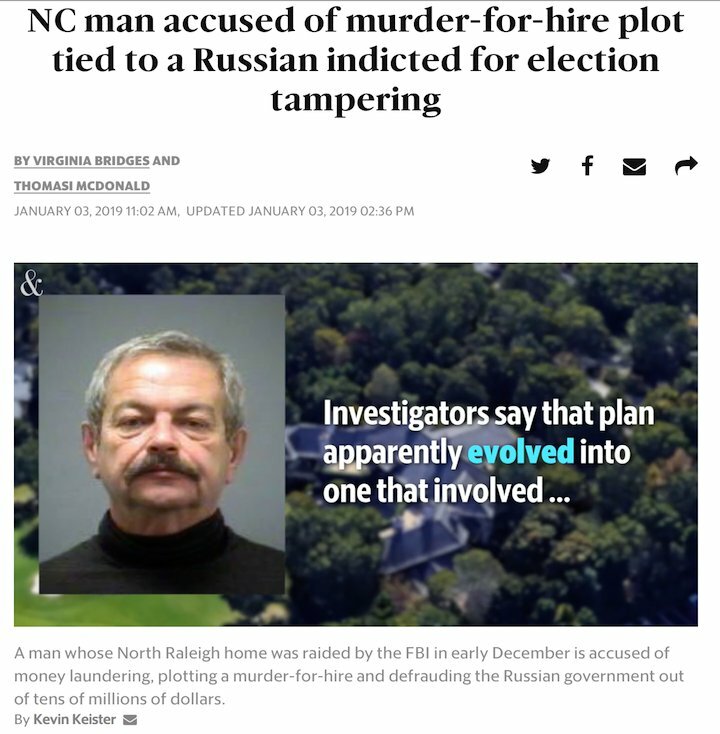 He removed the Russian-connected management company.